Having the correct PH balance in one’s nutrient mixes as well as regular water is essential for vital cannabis plant processes. Nonetheless, when repeatedly using the same nutrient recipe over extended amounts of time, indoor cannabis growers easily fall into habits of idleness with PH. This is because, growers assume that they will add the same amount of PH up or PH down with recurrent nutrient mixes. Furthermore, individuals often fail to PH their water when watering with straight water. Both of these bad habits can have devastating consequences on the health of a cannabis garden. This is because, the PH of both well and city water can fluctuate with changes in the seasons and weather. Even if you have been using the exact same nutrient recipe for years, take the extra little bit of time and PH with every watering. arise. Problems become worse once bugs, mold, and mildew have taken hold of an indoor garden. Because, the work load involved with eradicating the problem is far greater than it is with preemptive measures. Consequently, precautionary spraying should be done at least twice a week. This practice will help guarantee a vigorous yield. 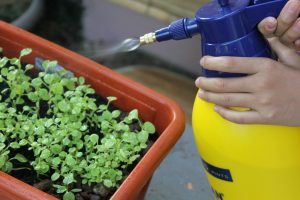 Furthermore, different sprays should be rotated throughout the plant’s life cycle. The action will help ensure that pests don’t build tolerances to specific products. Don’t let this simple chore hold you back from making progress in your indoor grow in 2017. .
Having a sterile environment in an indoor grow goes far beyond what is visible to the naked eye. Most plant nuisances are next to invisible in their infantile stages. Also, if the previous cannabis crop was harvested completely pest and fungus free, eggs and spores can still be present in the grow room. Therefore, the conscious cultivator realizes that every component of an indoor grow needs to be sanitized on a regular basis. Pots, walls, floors, equipment, and reservoirs should be thoroughly cleaned with a mild bleach and water solution after each indoor grow harvest. Furthermore, to ensure the most efficient performance of hoses, pumps, and sprayers, these tools should be bleached and sanitized regularly to eradicate the buildup of decomposing organic residues. 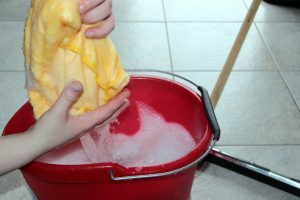 The benefits of fundamental cleanliness cannot be overstated. This practice will help with future trouble shooting scenarios and save gardeners loads of heartache. Put this New Year’s resolution at the top the list for your indoor grow. As all indoor cannabis growers are aware, electrical bills are one of the principal expenses of an indoor grow operation. However, for those cultivators using air cooled hoods, regular cleanings of the tempered glass on grow lights are often overlooked. Over time, dust and dirt particles build up on both surfaces of the glass and considerably diminish the strength of the light that plants receive. Consequently, electrical bills remain inflated while usable spectrums of light slowly wane. For the New Year, make your grow lights work as efficient as possible and plan on cleaning this glass with a glass cleaning product at least once per harvest. For indoor cannabis growers that keep their operation working all year long, it’s easy to lose track of the ages of bulbs, ballasts, carbon filters, and fans. Over time and with heavy use, the performance of this essential cultivation technology can begin to decline. As a result, the savvy medical marijuana cultivator keeps detailed records on equipment purchase dates. They also keep track of accompanying receipts to ensure maximum performance. 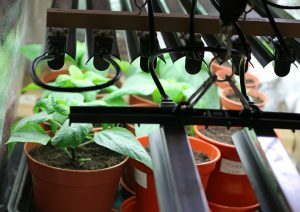 In conjunction with the use of a light meter, knowing the age of horticultural lighting will help with decisions concerning the timing of replacements. Finally, keeping detailed accounts of purchase dates will help ensure that all equipment warranties are honored when applicable. This detail oriented approach to indoor grow maintenance will save you time and money in 2017. This article originally appeared in the January 2017 edition of Maximum Yield Magazine.